A Pakistani anti-terrorism court has convicted and sentenced 10 men to 25 years each in prison Thursday in connection with the 2012 shooting of Nobel Peace Prize laureate Malala Yousafzai. The men do not include the gunman who actually shot Malala, but they were involved in the attack. The shooter is believed to have escaped across the border into Afghanistan. The Taliban targeted Malala for her work promoting girls' education. She was shot in the head while travelling home on her school bus in an attack that also wounded two other girls on October 9, 2012. Malala was seriously wounded and taken to Britain for treatment, where she now lives. 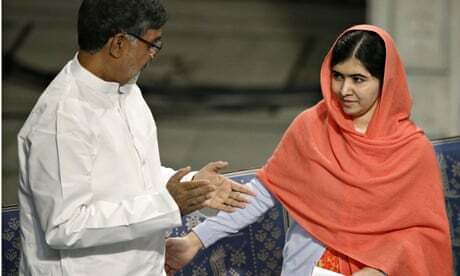 Last year, at the age of 17, Malala became the youngest Nobel laureate.